The San Jose Blog: Skyy Vodka is Bottled in San Jose? Also, I already grabbed TK Noodle. Their first restaurants was actually Downtown. I should also mention some other chains started Downtown: Togo's, Sonoma Chicken, New Tung Kee Noodle, Iguanas, and La Victoria. The railroad line near the distillery has been shut down for some time now. I am guessing they probably have the stuff trucked? (though that sounds way more expensive) UP sold the line to VTA for BART and parts of it have already been ripped out, I think recently the area around the Berryessa BART was ripped out, leaving the siding and part of the railroad up to Williams St isolated (the railroad was replaced by a housing development from there up to 280). Skyy bottles used to say bottled in San Jose. Years ago it stopped appearing on the label. It says San Francisco now. San Jose gets snubbed again by SF. We still have gordon biersch and J. lohr though!!!! And theyve been around dowtown for some time! Updated the Google Doc to reflect these two. Also added Strike to the list, they are building a permanent brewery here on 10th Street! Don't know if you have Hermitage Brewery on it. They're near Spartan Stadium. Yup, it is on there as well. 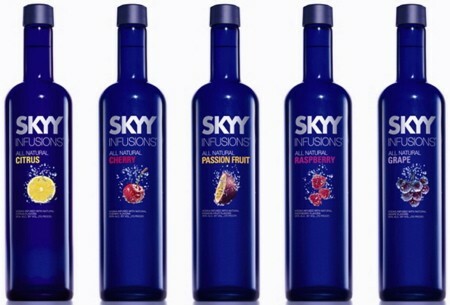 Skyy is terrible... Continue to support the bay area while having some good quality vodka still by purchasing Hanger One.